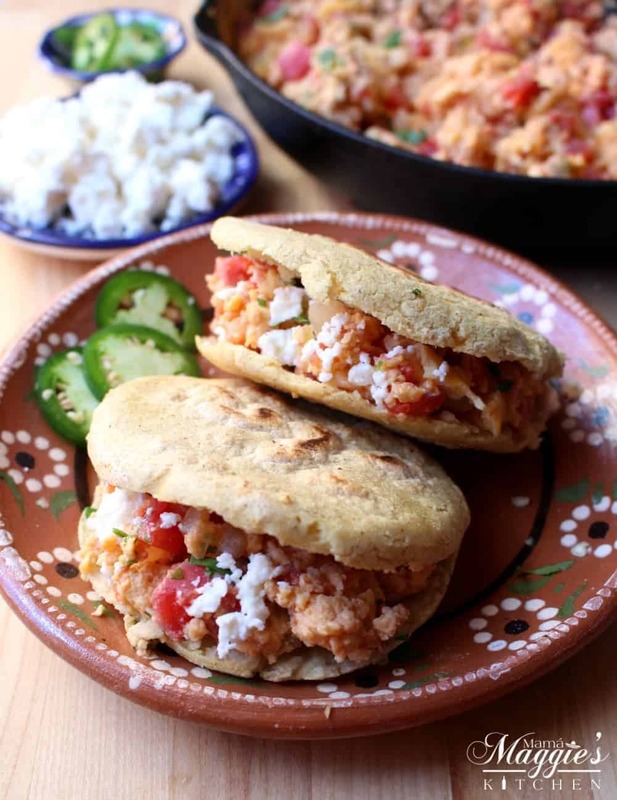 Brunch just got better with Breakfast Gorditas. It’s a delightful way to start the day. Ready in no time and full of deliciousness that the entire family will love. 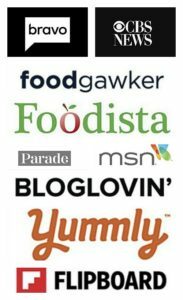 Disclosure: This post is sponsored by Conagra, but opinions expressed are my own. Who doesn’t love brunch? I love waking up late, drinking some coffee while the house is quiet, then whipping up something yummy. 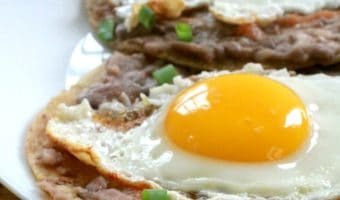 These quick and delicious Breakfast Gorditas were born one day when I had leftover gorditas. Here’s the thing about brunch: It may be something special, but it doesn’t mean you have to slave in the kitchen for hours. I was at Walmart the other day, and I bought a few essential items that I knew would make this Mexican Easter brunch come together in a snap. 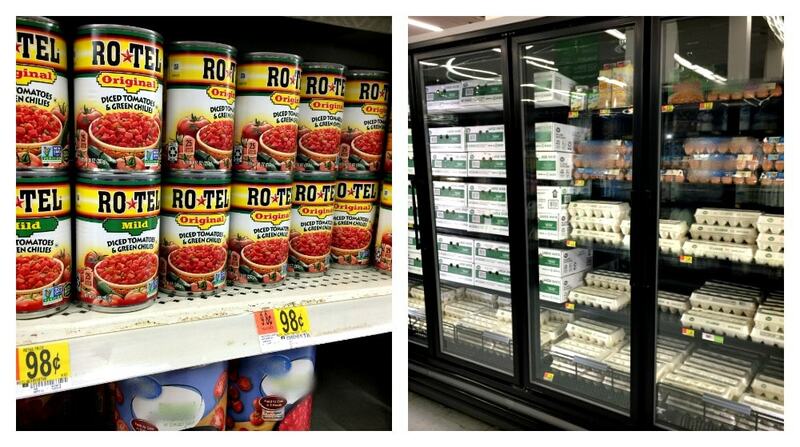 You can get all of these ingredients at your local Walmart at an everyday low price. That makes this busy mom smile! 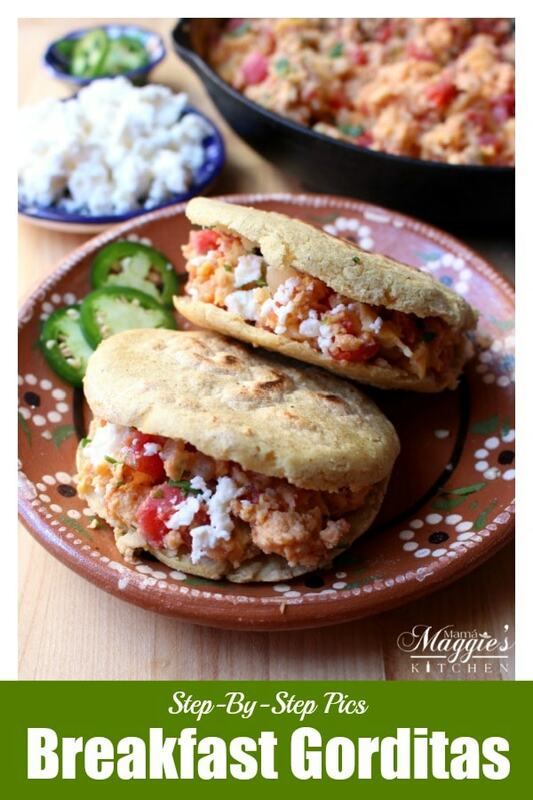 Usually, in Mexico, you see gorditas stuffed with Chorizo con Papas or Mexican Picadillo. Lunch is great, but we’re talking brunch. Why not have them for a Mexican breakfast? They make a great idea for a Mexican Easter Brunch. 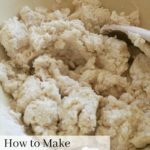 You can buy them pre-made, but to make them from scratch is ridiculously easy. 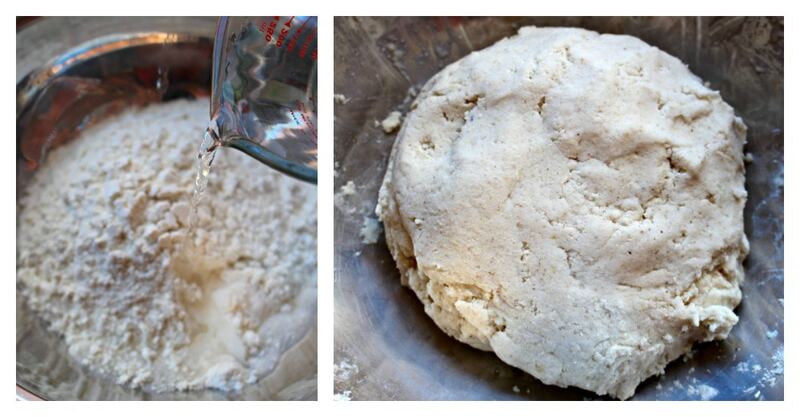 Only three ingredients to make gorditas: Masa Harina, water, and salt. Shape the gorditas and heat them on a griddle. Tell me that wasn’t easy? There was a place in Mexico City that made Fried Gorditas. They were insanely good. 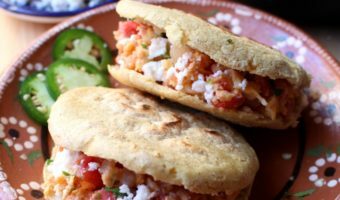 If you’re not into making homemade gorditas, you can always ditch the gorditas and use tortillas instead. FYI, you’d be making breakfast tacos instead. Time to get the ingredients for the filling together. In a large skillet, add the Parkay and diced onion. Cook for 1 minute. 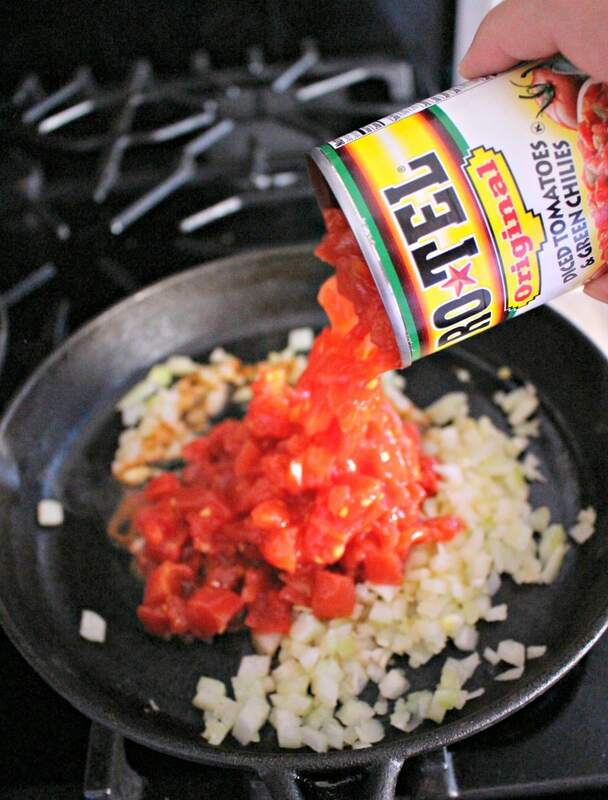 Add the can of RO*TEL tomatoes and green chilies. Cook for 3 minutes. The Parkay adds a rich and buttery taste. It also comes in a spray bottle. When you’re making brunch for a lot of people, you want to make sure you don’t make the dish too spicy. That’s why the RO*TEL is perfect. It adds a nice zest from the chilies. Food for Thought: A great addition to these Breakfast Gorditas would be Odom’s Tennessee Pride Sausage. 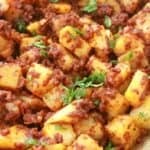 It would make the filling extra hearty and adds protein. 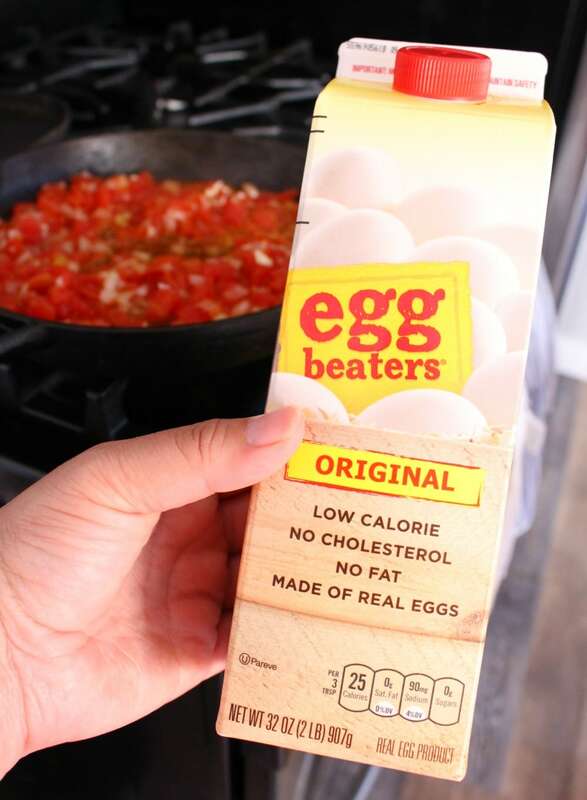 The egg-cellent thing about Eggbeaters is that there is no cracking eggs and beating eggs. It’s the equivalent of 7 large eggs all in one carton. It’s pour and go. Less dishes to wash and a big time saver. LOVE ALL OF THAT! I’m all about easy cooking with big flavors. Cover them with a towel, or they will get cold. Individually slice them in half, leaving the end intact. This would also be a good time to call the family to the table. If your family takes its time getting to the table like mine, cover them with a towel, until everyone is at the table. 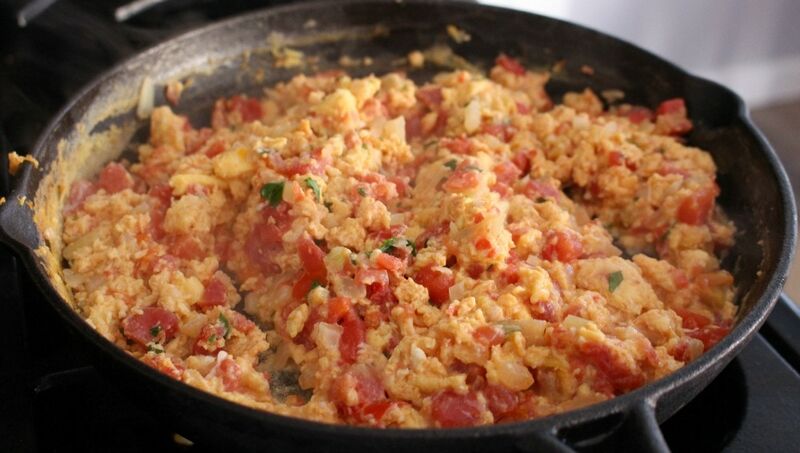 • Stuff the gorditas with the egg mixture. Since you eat gorditas with your hands, be sure to serve with plenty of napkins. 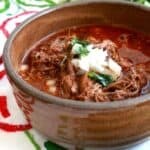 A good side dish for this would be Refried Beans, and since it’s a Mexican Easter brunch, why not make Café de la Olla. YUM! The other thing you can do to make this easy Mexican brunch go faster is to make the gorditas ahead of time. Place in a freezable plastic bag. Remove as much of the air from the bag as possbile. Frozen gorditas will last up to 3-4 months. 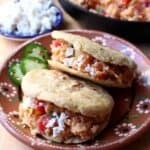 Gorditas in the fridge will last up to 7 days. Note: I do not recommend stuffing the gorditas before freezing. The moisture will cause them to crumble. 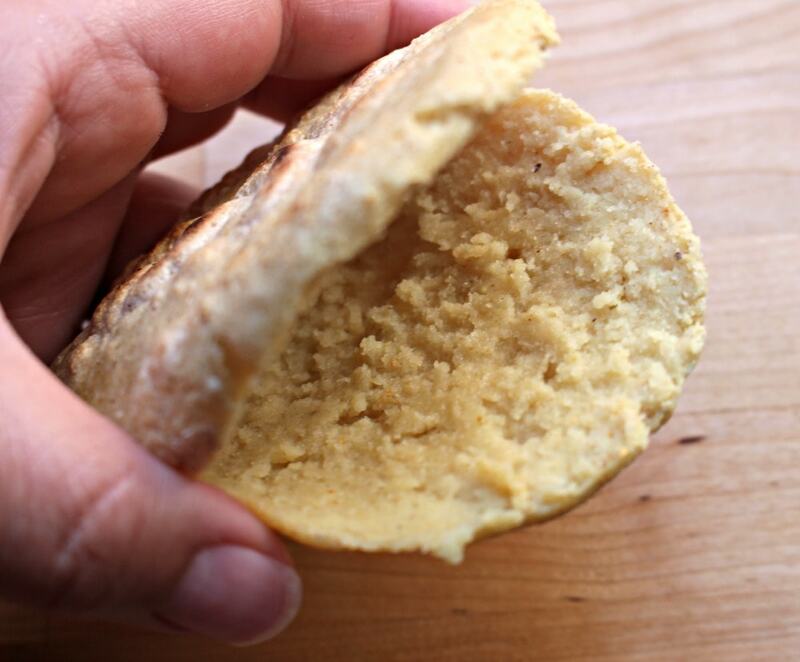 In a large bowl, mix the masa harina, salt, and slowly add the warm water until you form a small dough. With your hands, form 6 thick gorditas (about 6-inches in diameter). If the sides of the gorditas crack, add water to smooth them out. Heat on a griddle for 5 minutes on each side. Once they are fully cooked, cover with a towel to keep warm. Add the Parkay and onion to a large skillet. Add the can of RO*TEL and garlic. Add the entire container of Eggbeaters, cumin, oregano, salt, and pepper. Stir occasionally for 4-5 minutes, or until eggs are fully cooked. With a knife, cut the gorditas in half, leaving the end intact. Stuff with the egg mixture. Top with queso fresco, cilantro, and salsa. 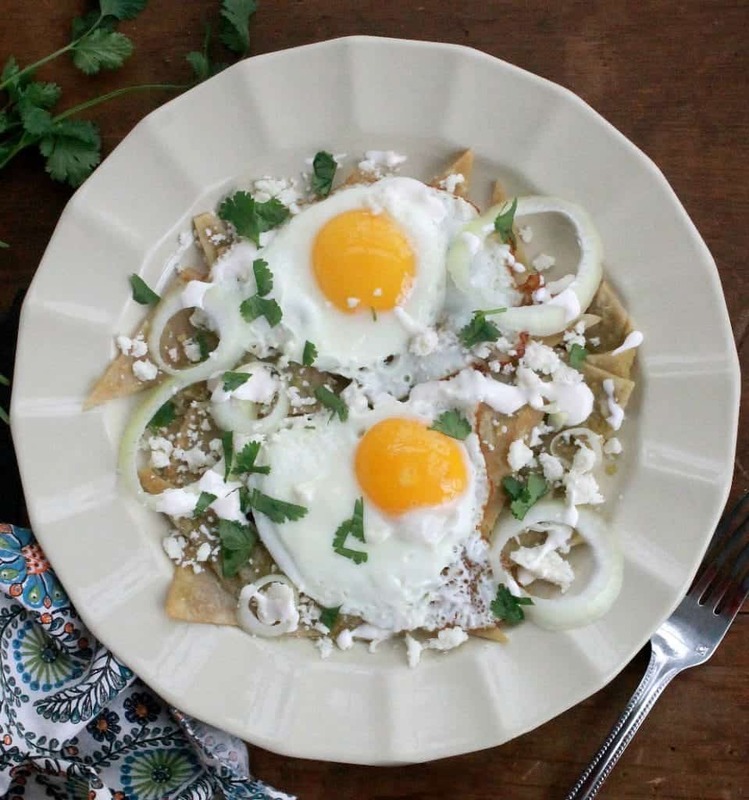 Chilaquiles with Fried Eggs, or Chilaquiles con Huevos Fritos, is a delicious and flavorful breakfast dish that’s a favorite in Mexico. 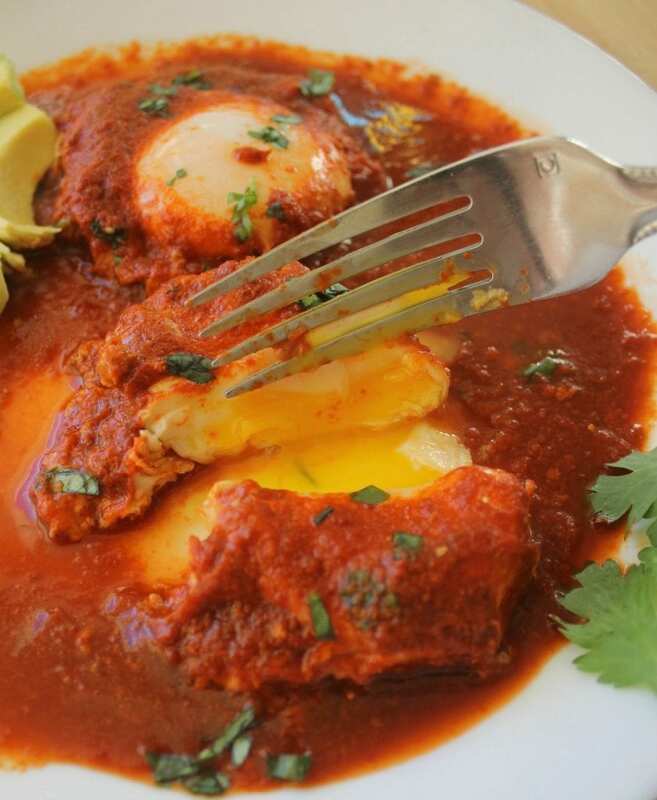 Drowned Eggs in Guajillo Sauce, or Huevos Ahogados en Chile Guajillo, is a classic Mexican recipe. Delicious and savory. 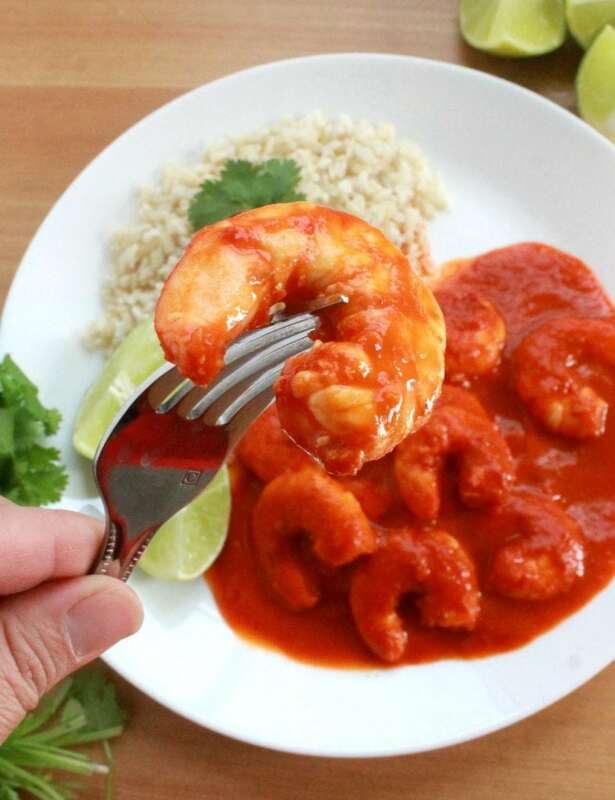 Perfect for breakfast, lunch, or dinner.